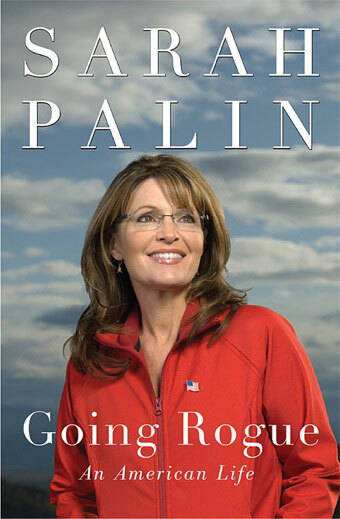 Seeing red over Palin parody – Uneducated fans buy wrong book. A parody of Sarah Palin‘s book “Going Rogue: An American Life” has been causing huge confusion — forcing Palin’s publishers HarperCollins to take out ads to direct buyers to the official version. 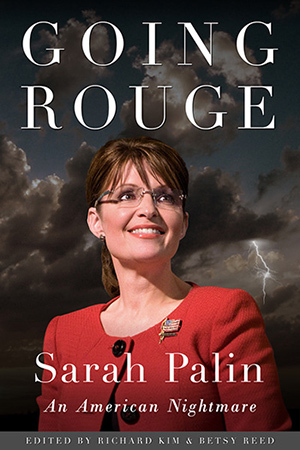 The rival book, “Going Rouge: An American Nightmare,” was released on the same day as Palin’s memoir and features an almost identical cover. 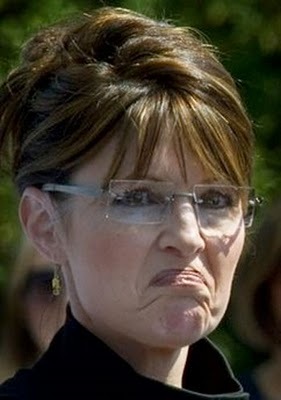 Colin Robinson, co-publisher of the book, compiled by Nation magazine staffers Betsy Reed and Richard Kim, told Page Six: “We have been contacted by numerous media outlets across the country asking for interviews with Sarah Palin, or companies offering security for her while on tour. USA Today’s section The Oval wrongly posted the cover of “Going Rouge” with a review of Palin’s book. It has since corrected the confusion with the statement: “Erratum: An earlier posting featured the photo of a different Sarah Palin book. The Oval regrets the error.” Last week, Fox News Channel apologized for showing the cover of the takedown book while discussing Palin’s memoir. HarperCollins did not respond to calls and e-mails for comment.